How to develop a geolocation feature for mobile apps? Geolocation is a technology that allows identifying or estimating the precise location of the object in the real world. In short, it generates the set of one’s geographical coordinates and determines a current location down to the street address and the number of the apartment complex. Geolocation technology helped startups grew into successful businesses. Also, it changed the state of things for existing services and products on the market. Location-based applications have influenced the coexistence of companies and their clients. But how geolocation works and where can it be used? 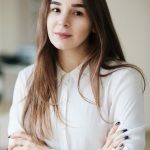 In this article, we are going to cover the types of GPS locating apps and how to make a location-based application. Let’s figure out the types of location-based mobile applications. It was quite a challenge to categorize them accordingly, so if you have a suggestion or a correction to make, please do so in comments below. When talking about geolocation, the first thing that pops up in one’s mind is a usual map or a navigation service. It helps find the way around the country/city/village or wherever. The great examples are the Google Maps, Waze, Here, CoPilot and more. Usually, such apps have a voice directions option, combined with traffic reports and offline maps. Apart from never getting lost, you will be able to reach the place of destination quickly. Also, these applications can track the distance that was covered, which is useful for fleet management. Remember Foursquare? It had people check-inning at every place they have visited and leaving comments about surroundings, interior, quality of service and offered products. This is it. 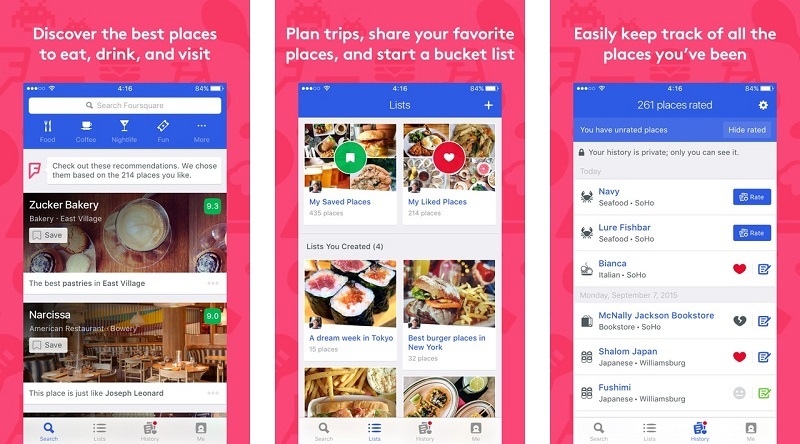 Such apps allow you to find places to visit according to your location. Plus, you can check out reviews and rates left by previous visitors. 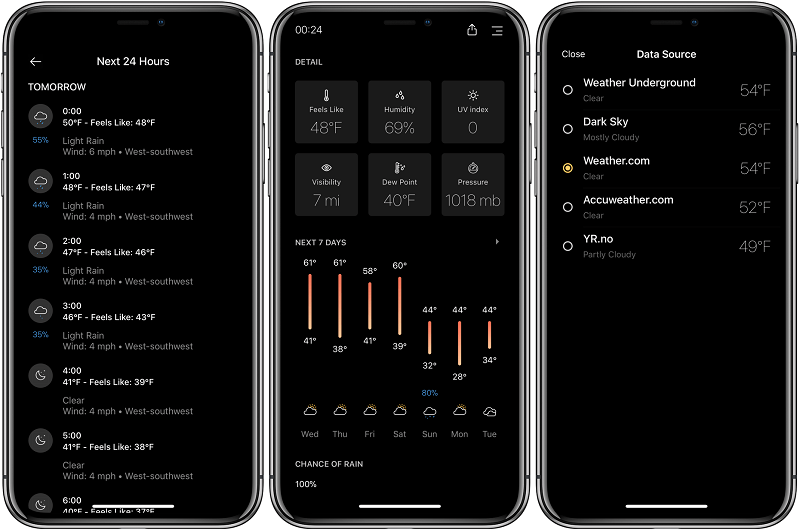 Have you noticed that weather forecast applications give you an overview of how the weather is going to change hour by hour depending on your exact location? We have been testing it out, and the built-in OS weather application predicts the time of the rain differently for people who are in the same city but in different districts. So cool, much tech. Weather apps are absolute leaders in the usage of geolocation among users. Looking for a cab? Need grocery to be delivered straight to your apartment? The pipe broke down, and you need a plumber? Geolocation is a key ingredient for the development of the applications for these services. They determine user’s location and offer solutions basing on it. 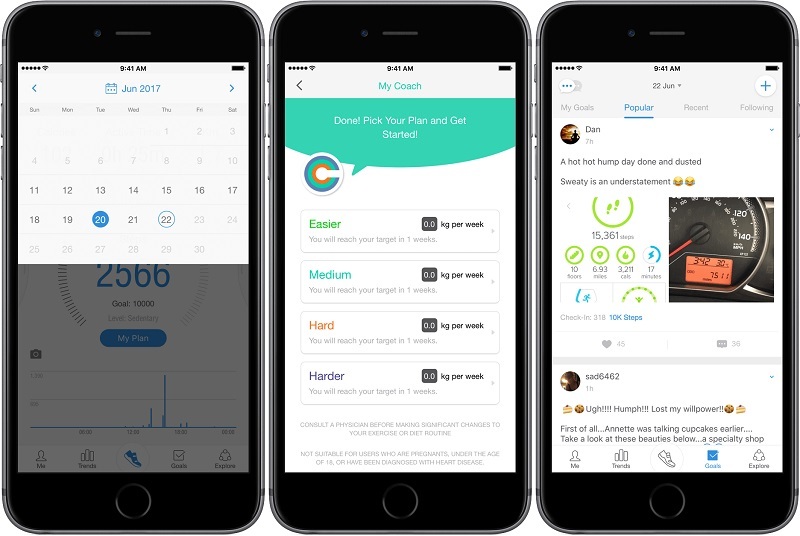 These location-based applications track user’s physical activity during the day and provide the user with careful insights (burned calories, mileage, time of the activity like runnig/walking/jogging, etc.). 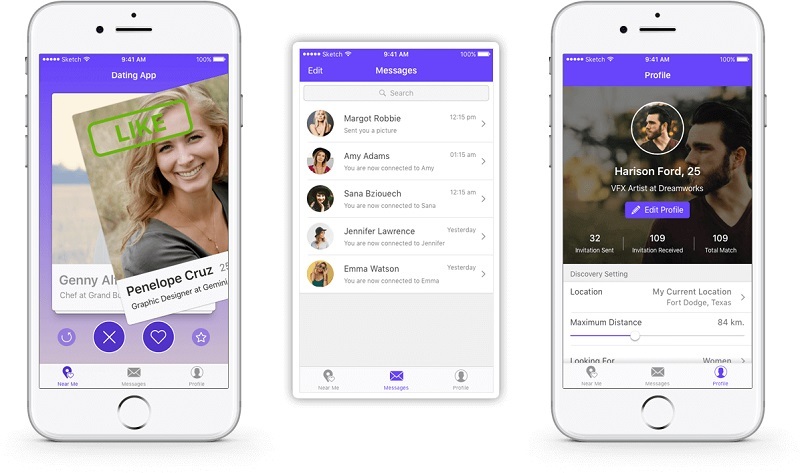 Popular social networks utilize geolocation for geotags for posts, connect users to people nearby, offer events nearby to visit while dating apps use user’s location to suggest partners who happen to be in the same neighborhood. Tinder is the best example of this type of an application. Basically, there are two things necessary for building a location-based application. Those are maps and location services. 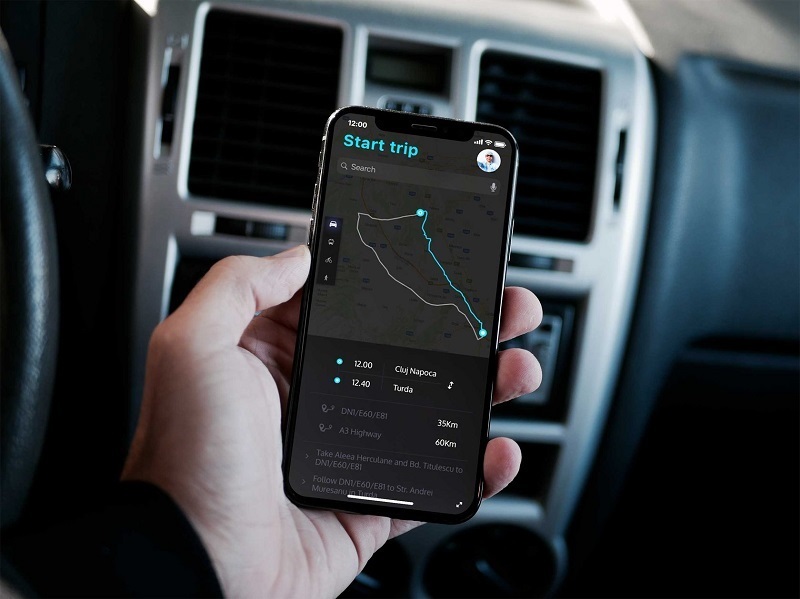 Location services utilize local cellular, Wi-Fi, GPS and cell tower location data to enable native applications, third-party apps, and system services display accurate information based on the user’s whereabouts. So let’s take a closer look at these ways for determining one’s precise location. GPS stands for Global Positioning System also known as NavStar. It was developed by the US government in 1995 for the purpose of military navigation. Currently, the system operates 31 active satellites. Even though GPS involved a lot of complex technology, the overall concept is simple. GPS receiver gets a signal from each GPS satellite that transmits the precise time the signals were sent. GPS tells how far the signal is coming from every satellite by subtracting the time when the signal was transmitted from the time it was received. Also, GPS receives satellites position in the sky at the moment of sending the signal. Therefore, if the GPS receiver knows the travel time of each GPS signal from every satellite and their position, it can determine the exact position of the object according to three dimensions: east, north, and altitude. However, there is a small problem. The GPS receivers need to know the time very accurately to calculate the exact amount of time it took for GPS signal to arrive. Despite that GPS satellites are equipped with an atomic clock that shows precise time, GPS receivers are not. Thus, if there is a signal from the fourth satellite, GPS receiver can determine the precise time without an atomic clock. In the case when GPS receiver can get signals only from 3 satellites, it will be possible to get the location, only a less accurate one. If there is no way to receive the location by means of GPS, the carriers also know how to determine phone’s location without it. They apply the technology called Cell ID. They analyze what cell is used by a customer and how far it is from the neighborhood cell. It helps to connect the phone’s location with the location of a cell tower. However, while this system is going to work just fine for an urban area with lots of cell towers, that is not the case for the rural area where there is one or no towers for several kilometers. Wi-Fi works similarly to Cell ID technology but provides much more accurate data as Wi-Fi points cover smaller areas. Received signal strength indication uses the signal your phone detects from the closest access points and checks with a database of Wi-Fi networks. It provides information on where each identified access point is located. With the help of signal strength, RSSI finds where you are in relation to access points. It uses profiles of the places based on the pattern of Wi-Fi signals around them. It suits the best for the place that is often visited by a smartphone user. The fingerprint is a so-called digital trace your device leaves the first time you go to that place. They can trace your location down to just a few meters. Scary, right? When user’s location is clear, our development team uses Google Maps or similar services to put it onto the real map. The Google Maps API for iOS and Android provide for stable app’s performance, cover the location and its accurate representation on the map. We recommend developing native applications for each platform if you want it to work flawlessly. The huge matter of location-based applications is users’ privacy and security. A lot of everyday users refuse to provide access to their location fearing harm or persuasion. Many stalker victims have suffered due to over-sharing their personal whereabouts, which makes the secrecy of user’s location an important issue. If the business wants to make the user choose their location-based applications, then it has to provide guarantees that this information would not be shared with any third-parties and that it is safely stored. 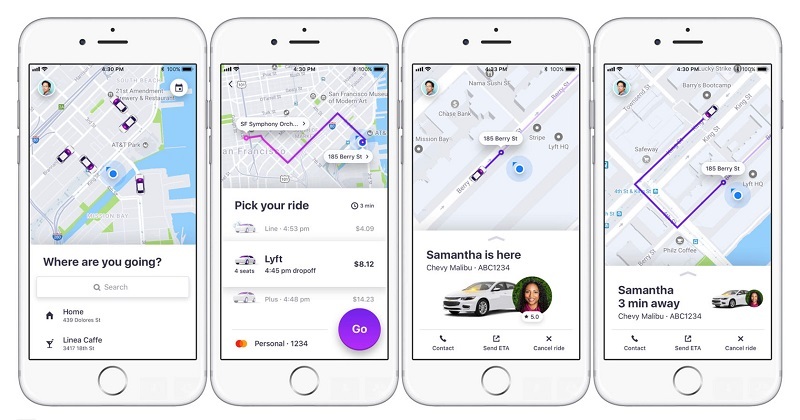 Location-based applications help businesses and brands tackle their engagement strategy to cover as many customers as possible. Use the location-based application to your benefit and offer your clients what they need at the right place at the right time. 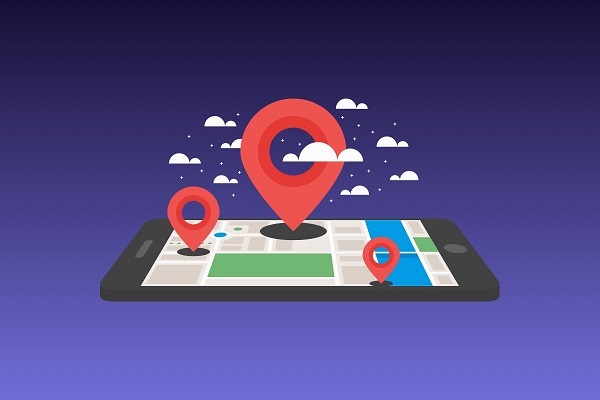 Remember to ensure that your customers’ location is safe, and your app will rock! How Much Does It Cost To Make a Messenger App?